Fascism in America-Is it too late? 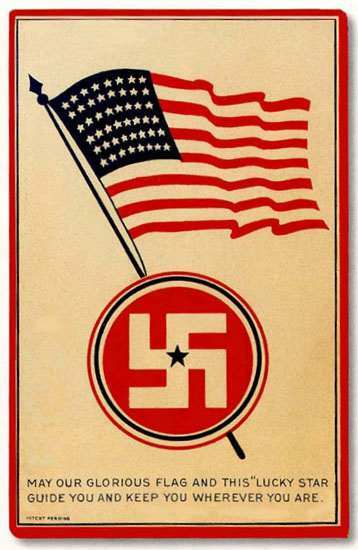 “When fascism comes to America, it will come wrapped in the flag and waving a cross,” ~ Sinclair Lewis. Pretty profound and leaves one thinking, has it already arrived and if so, what if anything can be done about it? 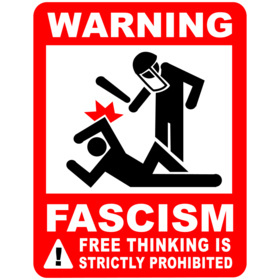 Fascism is almost universally a despised term of governance as a result of its use in the 1930’s and 1940’s in Europe that plunged that continent into a bloody war and has been blamed for the murder of people by those who were in control of government deemed to be “lesser people”. It’s so reviled that in this country, both the left and the right enjoy blaming the other side of being fascist. So if you have time and if you can deal with some historic fact, let’s examine the issue. First of all, where did fascism come from? Well, it comes from the Italians from the late 19th Century and became a powerful movement with the help of Benito Mussolini. From 1922 through 1943 Mussolini ruled Italy as leader of the National Fascist Party. It was based on Italian Nationalism and the restoration of Italia Irredenta (claimed unredeemed Italian territories) to Italy as well as territorial expansionism that Italian Fascists deemed necessary for a nation to assert its superiority and strength to avoid succumbing to decay. The movement wanted to reclaim Italian dominance of the Mediterranean region as it had during the Roman Empire and based itself on national historic pride. It wanted to reclaim colonies and create new ones. Of interest in the fascist movement was how business came into play. Italian Fascism promoted a corporatist economic system whereby employer and employee syndicates were linked together in corporative associations to collectively represent the nation’s economic producers and work alongside the state to set national economic policy. In short, corporations become an integral part of governance. The fascists saw this plan as an alternative to Capitalism and Marxism. They criminalized strikes by employees and lockouts by employers and deemed those acts as prejudicial to the national community as a whole. It was a business model to governance where the country was only as powerful and prominent as the corporate culture that essentially ruled it. Fascism opposed conventional democracy and stated that the only acceptable and desirable form of democracy was authoritarian democracy. It opposed mainstream socialism because they saw it as opposition to nationalism. It also opposed liberalism because they felt such ideas ran counter to a strong sense of national unity and strength. They were opposed to what is referred today as a “nanny state”. If you support progressive, liberal ideas to assist those who are needy/have the least to survive, you do not support the fascist ideology that opposes a nanny state. If you are opposed to unregulated corporatism where the big companies/monopolies have total say in how they do business with the blessing of government, you do not support the fascist ideology. If you believe in unions and workers rights to a living wage, good working conditions and the ability to collectively organize, bargain and possibly strike to attain these ends, you do not support the fascist ideology. Now as distasteful the concept of government running a country/society on business practices may be to some, that concept in of itself isn’t inherently evil. Nothing about that would justify the vilification of the term “Fascist.” We all know why the term is so distasteful. Mussolini actually had success with the fascist state in Italy in the beginning (he got the trains to run on time) and the Italian people were generally pleased with the concept and took pride in the reemergence of national unity. It went so well that fascism was being looked at by other nation states. One of which were the neighbors to the north, Germany. They were in a real bad place at the time, the sanctions and fines imposed upon them after World War 1 took a major toll on their economy. The worldwide depression didn’t help matters. The German version of the fascist movement known as the Nazi Party. In fact, economically depressed countries around the world, seeing how Italy had rebounded, balanced its budget, improved production, and had a situation where the corporate elite got richer wanted part of that bargain. The Germans under Hitler implemented a pro corporation government agenda that grew German business, rebuilt the military as a means to improve corporate production and employment, and started slashing liberal programs that were part of their “nanny state”. Only they took it farther. Germany came out of the depression faster and stronger than any other nation at the time. It infused money into building a war economy, maintained a balanced budget by slashing social programs for the needy. However it also collected revenues by taking the property of those they deemed “lesser”. It seized property across the nation from undesirables like the Jews, Gypsies, Homosexuals, Communists, etc. They outlawed and crushed the unions and literally imposed slave labor to help keep production costs low. Income disparity went off the charts, as it did with every other nation that imposed fascist regimes and ideology. Human rights violations became part of the national agenda for a “Greater Germany.” And again, prior to the onset of World War 2, other nations toyed with the idea of fascism to grow their economies and make their rich, richer. Spain fought a blood war where fascism beat out communism. Yes, fascism and communism are two distinct political ideologies Glenn Beck. There has never been or ever will be a Fascist Communist. Another country who toyed with the idea that was in the grips of the Great Depression in the 1930’s was the United States. Well when you improve your economy by going into war production, and you instill a strong sense of nationalism among your people, and you feel a need to spread your influence over people who are quite happy being who they are, you usually end up using all those war supplies you created and war begins. World War 2 was long and bloody. At its conclusion, Europe and the Western Pacific were devastated. As the human right violations of the fascist regimes became publicly known around the world, fascism died out everywhere with the exception of Spain. Francisco Franco remained neutral during the war and stayed low-key for decades later. It was only after his death did Spain do away with fascism. The only country to come out way ahead in the war was the United States. Due to our capitalism, governed and moderated by regulations enacted during the New Deal and implementation of social programs that worked hand in hand with capitalism did our economy thrive after the war ended. Things were going well until people started forgetting and pondered about the same ideas that existed early in the 20th century. Starting in the 1980’s, our government started rolling back the regulations on business and banking imposed during the New Deal and guess what? 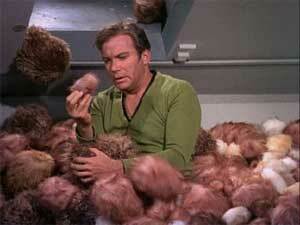 Our economy started to falter. We went back into a “bubble economy” that New Deal regulations held at bay and we started to see the same economic problems in this country that existed pre New Deal. All of this culminated in the national and worldwide financial crisis of 2008. So in terms of fascism, where does this lead us? We are seeing this again. Income disparity in this country are at record rates, there is a strong nationalist movement, corporations are demanding less government regulations so they can improve their profit margin, corporate lobbyists like Gover Norquist actually control the workings of Congress, “lesser people” like the Hispanics, Homosexuals, Liberals, Non-Christians, are being singled out as the cause for our problems. Social programs are being slashed while more spending is going to the military industrial complex. One little aspect that I left out in my history of fascism above. The Italian fascists under Mussolini had his “Black Shirts” a group of Italian thugs who took to the street to strong-arm others into compliance via terror to support the regime. Hitler had his “Brown Shirts” doing exactly the same thing. Who do we have? 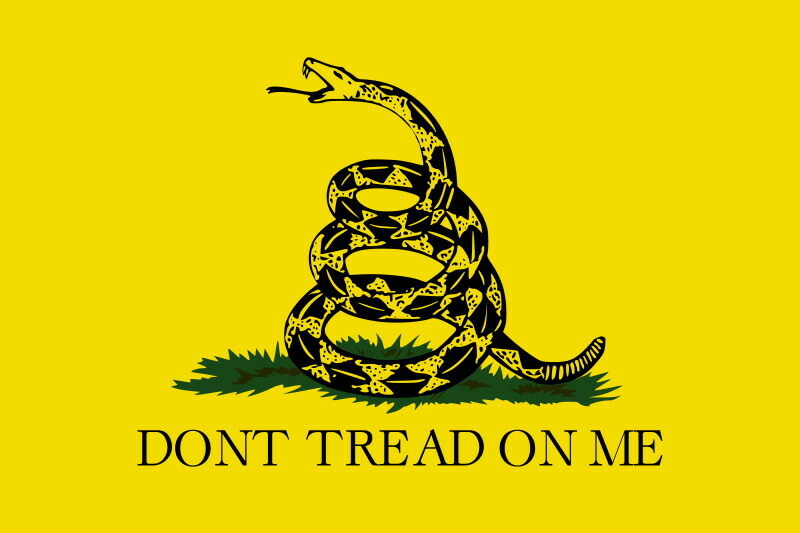 Well above is their emblem, the Gadsden Flag and they call themselves the Tea Party. They have wrapped themselves in the American Flag and carry a cross. Sound familiar? Now I’m not saying that all the rank and file of the Tea Party Movement are as vile, violent and racist as the Black and Brown Shirts were. In fact, many of those people weren’t by nature, racist violent thugs. They were conned and conditioned into an ideology that they thought would help their nation. The Tea Party honestly believe they are helping the nation, and sadly few realize they are actually doing the bidding of corporatist elitists like the Koch Brothers, Sheldon Adelson, et al, who are using them and have no intention of letting them share in their new-found wealth and prestige. The history of fascism is the history of a select few, using the many for their own personal gain.